In the October 2017 issue of The Highland Woodturner, Curtis Turner takes a closer look at the Rotary Texturing Tools available at Highland. I have other types of texturing tools and enjoy using them, so I was eager to try out something new. I have only had these a short time, however, it is clear to me these tools can easily add new embellishments to a range of turned wood items. They are so simple to use and there is virtually no learning curve. 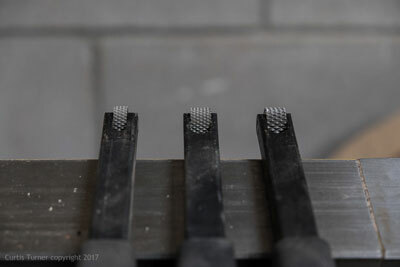 Click here to read more of Curtis’s review of the Rotary Texturing Tools. Woodturning Newsletter: The Highland Woodturner is NOW AVAILABLE!